This is one of the most haunting images I can think of in cinema. It is a simple image, not particularly artistic or striking. 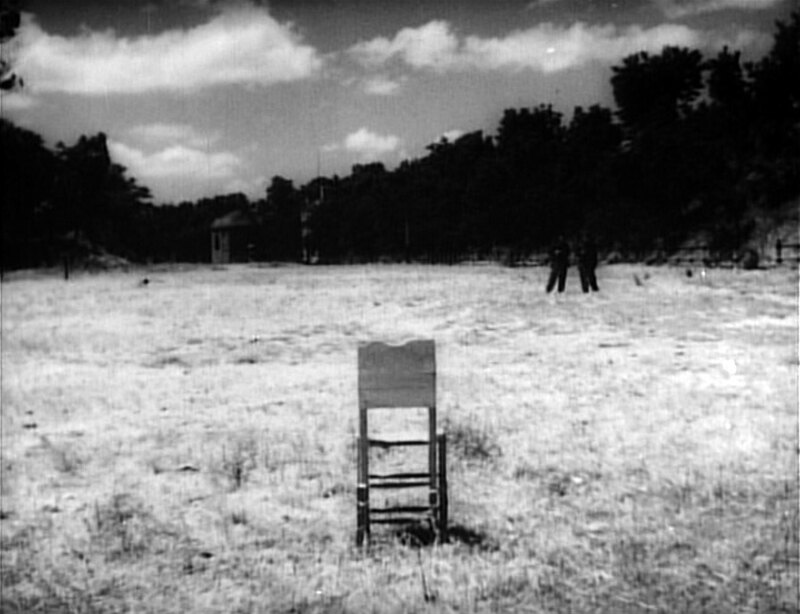 It is just a chair in a field on a bright sunny day, but it is loaded with meaning. 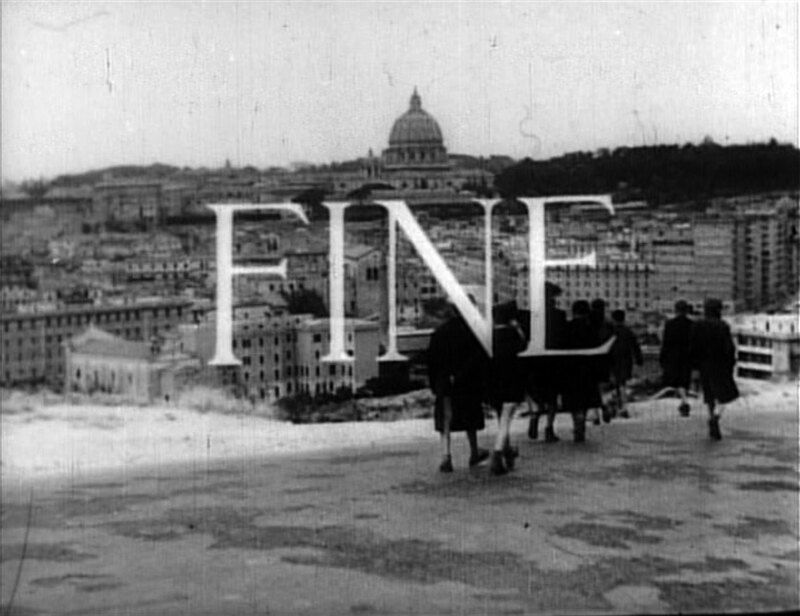 This image comes toward the end of Roma, città aperta (1945). The chair is the place of execution of for Don Pietro Pellegrini (Aldo Fabrizi), a collaborator in the resistance against the fascists. I find that great films often draw me in because of their heroes. Though I care about good cinematography and editing, or creative soundtracks and screenplays, what sticks with me longest are the heroes. And let’s not forget, superheroes are not heroes. Ordinary people who do what is right in the midst of extraordinary circumstances are heroes. * Don Pietro is a hero in this sense. A priest and a schoolteacher, he also knows that doing what is right trumps mere survival. He says, just prior to his execution, that it’s easy to die well, but living well is the real challenge. He is a man who lived well and the forces of darkness killed him for it. I am not saying anything new here. If you’ve seen Roma, città aperta then you know I have not discovered anything new in the film. 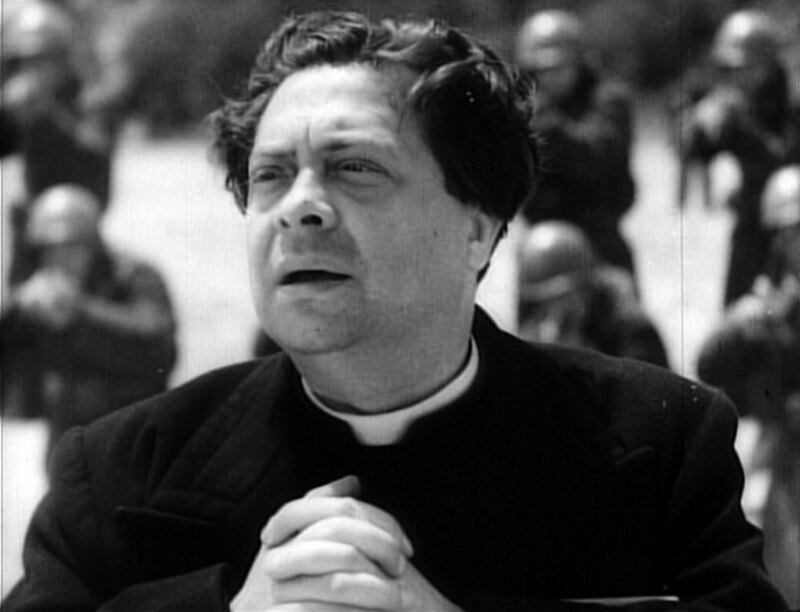 But I am struck by two things: 1) the film foregrounds the socialist/communist struggle against the fascists, and yet it is a priest of the most traditional of traditional Christian traditions who is the hero, and 2) it seems we don’t see these kinds of heroes in film as much anymore. What makes both of these points linger is the deep sense of humanity into which Rossellini taps. One aspect of Italian neo-realism is its ability to take the ordinary, portray it rather straightforwardly, and yet load it with both connotative and denotative meaning. The ending is a good example. After Don Pietro is murdered by the fascists, his students, who watched his killing, walk together back to the city. In the middle ground are modern apartment buildings. In the distance is the dome of St. Peter’s (I believe). This image all about the future. Life goes on. The future will need to be rebuilt from the ruins of the present. These kids represent that future. The adults have let them down as a result of their wars. But their teacher has shown what a true hero is made of. It’s a simple ending, in a way. And yet, it has weight, depth, and irony. The irony comes from the fact that while we watch the future walk into the city we also see the word FINE across the image. It is both the end and a new beginning, however uncertain. This is the kind of filmmaking that I love. *This may be why I find movies like Ironman to be all surface and ultimately unsatisfying – even boring. There are thrills but nothing really of any consequence. Ironman, as just an example of many, is somewhat entertaining, but already consumed and forgotten.